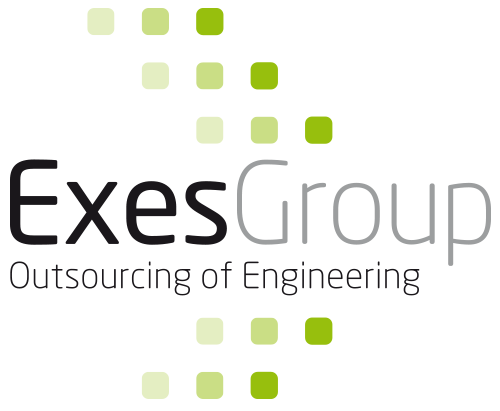 The Exes Group is specialised in carrying out activities in the field of engineering. We offer flexible capacity, both on-site and offshore, and support for your organisation’s engineers. This allows your organisation to separate work that adds value from labour-intensive work. The Exes Group happily relieves you of time-consuming work. Moreover, we are specialised in various engineering activities. Do you still have legacy data in 2D AutoCAD, Mikrostation or even calques, and do you still use them parallel to the 3D environment for the purpose of executing projects? Or are you planning to migrate between 3D CAD systems? Our engineers will bring your files up-to-date again in the correct file format and the right environment. They provide data conversion services using our own tools for 2D validation, 3D geometric validation and B-REP processing. This gives you the opportunity to have fast access to accurate data and models, which is beneficial to the turnaround and efficiency of the projects. Your engineers do not need to refer to drawings that are outdated. They are provided with uniform, correct data. Does your organisation have a new concept or project that has been fully detailed in 3D, but you are lacking the time to make it ready for production? Or are you struggling with tight deadlines as a result of new orders for the engineering department? By outsourcing the 2D production drawings, your own engineers will have more time to carry out projects, generating a higher turnover for your organisation. Creating 2D production drawings is time consuming and labour-intensive work. Your own people can add much more value by setting up new, knowledge-intensive concepts. Working and producing without paper and without drawings? All the information required for the production process, is added to the 3D model when using Model-Based Definition. By subsequently using screens and a connection to the PDM system during production, 2D drawings are no longer necessary. This reduces the chance of errors and save your engineers a lot of time during work preparation. The Exes Group supports the transition to Model-Based Definition by creating models in accordance with a new standard and adding meta-data for production. Every customer always asks for a ‘special’ while 80% of these functional demands can often be met by a standard solution. The goal, therefore, is to have only 20% of the work carried out by order engineering. By creating product families in fixed modules (transition engineering to order – configure to order), it is possible to take care of the other 80% by reusing data. Via an UML (Unified Modelling Language), we support manufacturing businesses in establishing a product logic on the basis of which models can be created. Due to a lack of capacity, the implementation of changes is not always kept up-to-date. The work accumulates and, in the meantime, the data are incorrect or incomplete. This creates further problems in the organisation. To streamline this process, Exes helps your engineering department to update models and drawings. Based on a list of item numbers and desired changes, we ensure that your engineers can always work with correct data. about the ways in which the Exes Group can be of service to you with regard to engineering? You can reach us via info@exes-Group.com or via telephone number +31 (0)40 820 01 09.